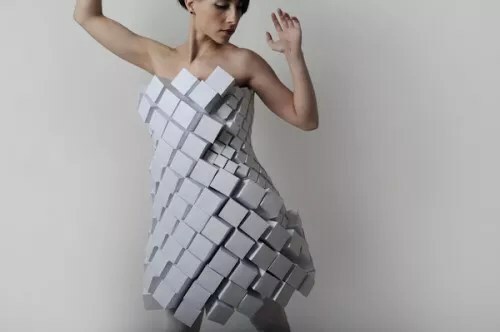 Bosnian designer Amila Hrustic has come up with a stunning way to complement the smooth and sensual curves of the human form. Sewn onto dresses in her Plato?? 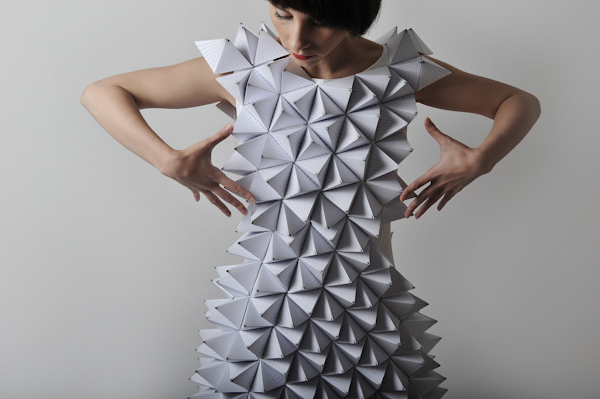 ?s Collection are an array of faceted paper surfaces. In a retro-futuristic bloom that would surely have Buckminster Fuller?? ?s nod of approval, these designs introduce geometric contours with an alluring and elegant style. 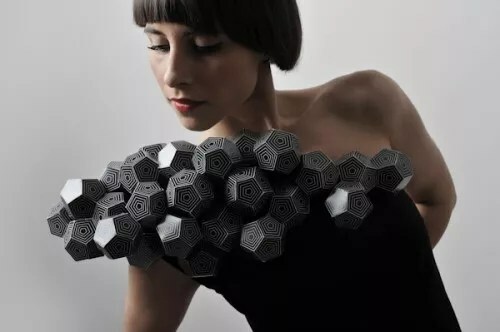 Fashion visions for the future can certainly <a href="http://blog.ponoko.com/2010/11/09/fashion-for-the-21st-century-we-always-envisioned/-16482″>take your breath away, and the inclusion of digital manufacturing technologies helps to push the boundaries even further.